Investors all across the country continue to make the same mistakes − so here's what you can do differently. You need to stop thinking like a homeowner and start thinking like a business owner. Yes, you need to like the property; a question you should ask is could you live in it yourself? If you can, then it's likely someone else can and so the property is probably rentable. Due diligence is more than just an inspection of the property, it's also a thorough investigation of your area's rental market -- vacancy rates, average rents, average age of the rental stock, zoning, government regulations. It will always take three times the money and twice as long as you first estimate to get a property ready to rent. Allow for additional funds to pay the mortgage whilst the property is vacant, obtain a building inspection by a qualified building inspector. A lack of cash reserves puts unnecessary pressure on you to do substandard repairs, accept substandard tenants or make other poor decisions because of a fear of vacancy. When you have a sufficient cash reserve, you act rationally. New investors often attempt to manage it themselves. That approach can end up costing more in the long run. Find an accountant you can talk to, a lender who will work with you and a reputable real estate agent to find a property in your price bracket. When selecting renters, make them fill out an application, and check their credit, employment and rental history before you take them on. Better still, find a reputable real estate agent and give them the job of managing the property and let your accountant look after the legitimate costs of running the property at tax time. Real estate investment risk is directly proportional to knowledge. The more knowledge of investing techniques, financing, acquisition and negotiating, the less risky your investments will be. The only time that you would invest interstate is if you have done your due diligence and researched the market that you intend purchasing in and also have a good real estate agent to look after and manage your property in your absence. If you're embarrassed to make a low-ball offer to a seller, don't invest in real estate. You never know a seller's circumstances and an offer you think will be unacceptable may be very acceptable to the seller. When signing a contract of sale ensure it has a 'subject to finance' clause. This gives you a degree of protection since your lender will value the property before offering you a new loan. From this you will then know the true value of the property. Why does the guy across the street rent his property the same day someone moves out and yours sits vacant for months? He might not be very picky about whom he rents to, but he also might have lower rents or have gone to extra effort to present the property. Insurance on rental property goes beyond insuring the building against fire or natural disaster. You need to look at comprehensive landlord insurance. There are too many horror stories about destroyed rental properties to not take out this type of insurance. Most major insurance companies now offer this product, which will not only cover you for damage to the property but also loss of rent. Rory O’Rourke is the principal and licensee of O’Rourke Realty Investments in Perth and has been in the property industry for over 40 years. 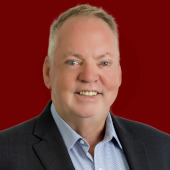 Rory is a former Vice President of the International Real Estate Federation (FIABCI) Australian Chapter and was inducted into the International Who’s Who of Professionals for 2009/2010. He has authored three best-selling books Born Free Taxed to Death, I sold 22 homes in one day and It’s Time… the Republic of Australia.